Motorola announced today that the Moto G4 and the Moto G4 Plus, are now available for preorder. Motorola says that both new phones are unlocked "universal" phones that work with "all major carriers". 4G LTE (B1, 2, 3, 4, 5, 7, 8, 12, 13, 25, 26, 41). The Moto G4 is priced at $199.99 for the 16 GB model and $229.99 for the 32 GB version. It's available for pre-order from the Motorola site with an estimated delivery date of July 12, 2016. The Moto G4 Plus is a slightly upmarket version of the Moto G4. Specs are mostly the same except that the Plus adds a fingerprint sensor, and gets a 16 MP rear camera with enhanced laser auto-focus instead on the non-Plus' 13 MP shooter with just plain auto-focus. The G4 Plus comes with 16 or 64 GB of internal memory and the 64 GB model gets 4 GB of RAM. The Moto G4 Plus is priced at $249.99 for the 16 GB, 2 GB RAM version and $299.99 for the $64 GB, 4 GB RAM variant. It can be pre-ordered today for July 12 delivery. The third member of the 2016 Moto G family, Moto G4 Play is not available for pre-order yet. 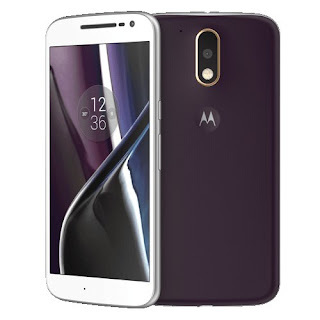 It will be the least expensive model and has specs similar to the 2015 Moto G, including a Snapdragon 410 SOC, 8 MP camera, 5" 1280x720 screen and 1 or 2 GB of RAM. The G4 Play will come in two models for the US market. THe XT1607, which has the same universal bands as the G4 and G4 Plus and a special XT1609 model for Verizon which only supports CDMA 850 and 1900 and LTE bands 2, 4, 5 and 13. If you are planing to get either the Moto G4 or G4 Plus, you might want to order from BestBuy or B&H instead of directly from Motorola . Both retailers are throwing in a $50 store gift card when you order through them. Always liked Motorola quality. These seem to be very capable specifications with such reasonable prices outright with no payments and no commitments. Best part: what is to stop anyone from swapping out SIM cards to try out all four networks say every 2 months on prepaid MVNOs. Ideal. The G4 is $199.99, the G4 play is $129.89, where / when is the G4 $99 to go? Good luck with Total - clueless CS that is looking to cheat you. T-Mobile volte , hotspot and Wi-Fi calling good to go? G4 Play is 5" like the G3. I haven't shopped around for phones in awhile. How does the G4 compare to other phones in this price range? The first three generations of Moto G were considered tops in their respected price ranges by "most" reviewers on YouTube for at least 6-months after initial release. Now that they've upped the price to $300.....it remains to be seen how the G4 Plus stacks up against the influx of new phones from China coming in latter 1/2 of 2016 into 2017. The camera on G4 Plus is a notch below the Moto X Pure 2015 so I'd recommend it instead (But it has no finger print reader). Other than the finger, Moto X Pure is Best In Class at $300 or less by far. Does the Moto X Pure 2015 support all 4 national networks? All models in article will come with Marshmallow 6.0.1 out of the box. Yes, 6.0.1 on all of them, and they should all be easily bootloader unlockable via Motorola's website, so custom root and custom roms shouldn't take long to pop up. Looks like a great $150 phone for those on an unlimited unthrottled Metro plan. Then again, so is the Stylo 2 Plus. The G4 Plus' camera also has laser focus and some other type of focus enhancement. Just thought that should be mentioned in the post. Would have like to have seen an SD 625 on the plus instead of the 617. Like just about every smartphone, all Moto G4 models have GPS. NFC is a must these days! Not to me. I find tap to pay less convenient and more time consuming than using a regular debit or credit card. Android Beam doesn't work half the time and doesn't do anything that can't be accomplished with FTP or Bluetooth. What use cases do you find NFC good for? He probably telling about on an iPhone were it's useless for any other NFC-using mobile payment app. So basically.. take the basic black or white for the $50 gift card or use motomaker and design your own unique device...?? And when is the New moto x dropping and how much?? It will be called the Moto Z and will launch in September. Price hasn't been announced but I suspect it will be at least $499.99. Dennis, You think it will work on ringplus? Will their prepaid phone restrictions kick in? Or is this a fully regular phone that will work? Unless Sprint or RingPlus manage to screw it up somehow, all versions of the G4 except the XT1609 Verizon only G4 Play should work on RingPlus. If you buy an unlocked G4 from Motorola it's not a prepaid phone and Sprint/RingPlus should have no problem with it. If you buy it from Boost, Virgin or Sprint Prepaid it will be blocked on MVNOs like RingPlus. If my current R+ handset (Moto E 2nd gen) needs replacement, I will certainly consider the new G4. With the current FEC requirement, these phones have moved to the top of my list for usage with R+. Spouse and I have been satisfied with the service in NYC, although it was useless in Alaska, even with roaming. I believe the 5" G4 Play has the same chip as the Moto E LTE. So if you want an actual upgrade in hardware and unlike me don't care about having a smaller screen then go with 5.5" regular or plus G4!